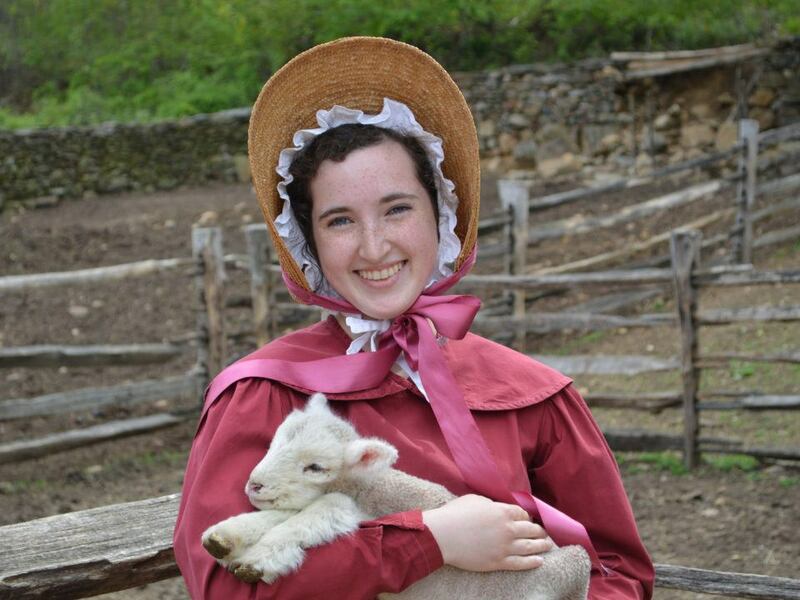 High school-aged OSV Members are invited to apply for the OSV Junior Intern program. 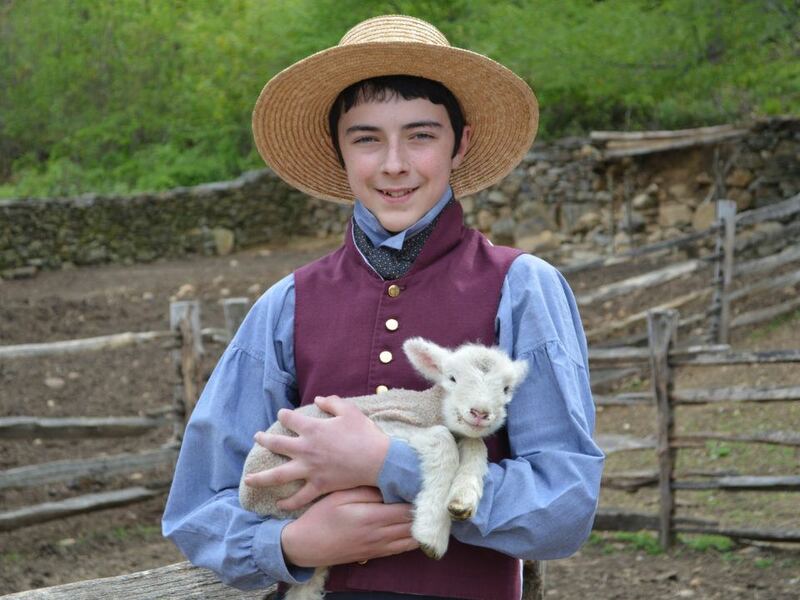 Learn about American history by experiencing first-hand early 19th-century rural New England life. Costumed Junior Interns help Village staff depict family life and childhood. Junior Interns commit to a schedule of at least 15 days (excluding two training days) between May and October. The program is open to ages 14- 17. Applicants must be a at least 14 years old by September 1 of the year in which they will serve as interns. 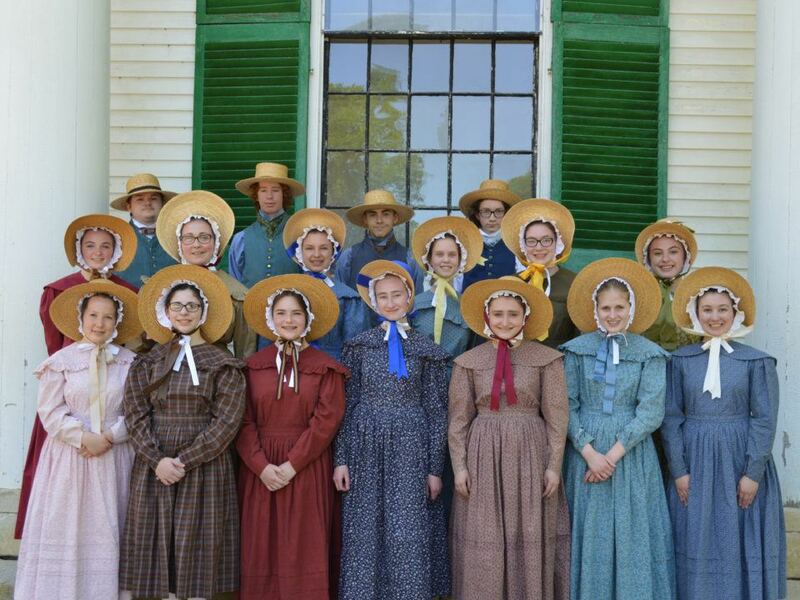 All Junior Interns are expected to attend orientation and training sessions, which are designed to prepare them to engage visitors and help lead activities in Village exhibits. They will also be required to do related readings. Junior Interns pay a $250 fee for their first year in the program. Junior interns who return in subsequent years pay a costume fee of $75 each year that they participate. Junior Interns will be responsible for maintaining the costume issued to them. Download the Junior Intern Application. Applications for the 2019 program are due by December 23, 2018, with interviews conducted on with February 2, 3, and 9, 2019. Junior interns selected for the program will be trained for two days in the spring and begin the program in May. Applicants must have an active Old Sturbridge Village membership. There are a limited number of Junior Intern positions available. Applicants must submit a completed application form and two letters of recommendation (excluding family members) that reference relevant skills by the deadline. 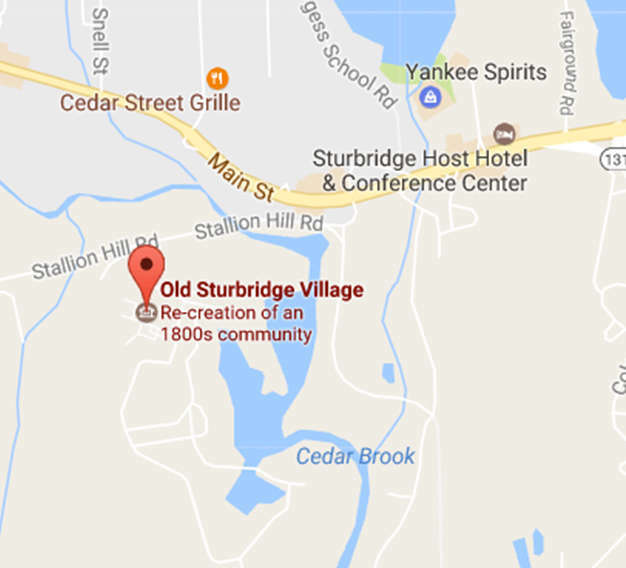 Successful candidates will be familiar with Old Sturbridge Village, possess outstanding communication skills, and demonstrate a willingness to take direction from a supervisor.